The New England Patriots won their sixth NFL Championship Feb. 3 at the Mercedes-Benz Superdome in Atlanta. They bested the Los Angeles Rams by a score of 13-3, which set the record for the fewest points scored in a Super Bowl. The Patriots and the Rams averaged 27.3 and 32.9 points per game this season, respectively, but only managed to score 16 total points in Atlanta. For a recap of the game check out the sports article on page whatever. Tom Brady and the Patriots now tie the Pittsburgh Steelers for the most Lombardi Trophies won.Following the game, there were many initial reactions to what transpired in Atlanta. 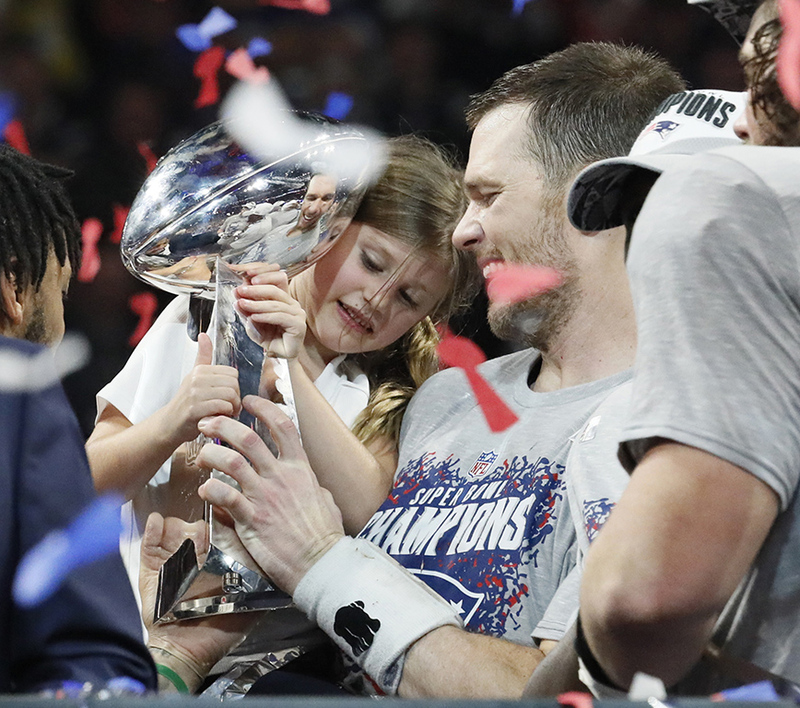 Statistics, ratings, sports analysts opinions and general interest in offensive football all converged onto one conclusion: this year’s Super Bowl was incredibly lackluster. The NFL has always been offense-oriented, and maybe a defensively-minded game would have been more accepted by fans in the regular season. Maybe even in the playoffs, on a bitterly cold winters night in the Divisional Round — NFL fans’ minds immediately jump to the Steelers and Ravens in January 2011 — a defensive struggle would make for an awe-inspiring game between two evenly matched teams. But in the climate-controlled Mercedes-Benz Superdome on the football world’s biggest stage, fans expected more of the two teams and every other aspect of the evening. Even in the halftime show, fans were expecting a great performance. Many people think back to past performances by artists like Prince, Bruce Springsteen and Beyonce. However, with many artists having declined to play in solidarity with Colin Kaepernick and Adam Levine’s shirtless look bringing up controversy about the double standard that was placed on Janet Jackson in 2004, this year’s halftime show left fans feeling underwhelmed. Many Drexel students found the game incredibly boring, as for the majority of them, neither the Eagles nor their hometown teams were playing. Even students whose teams were in the Super Bowl found the game unenticing, and spent many moments away from the television. “Even if [the Rams and Patriots] didn’t score I would have liked to see more big passes… Even the one touchdown we did see wasn’t that impressive,” freshman Benjamin Mastrorocco explained. There was work to be done, practices to be had. Students found other ways to fill their time, and they checked back in to see if the Patriots had won. The game ended the way people presumed it would. “I thought that overall it wasn’t an entertaining game to watch, and not even the halftime show could make up for it. I was just let down,” freshman Casey Reinknecht said. When there is a disappointing Super Bowl, fans would much rather do something else than watch. This could be due to the amount of press coverage given to the game in the preceding weeks, or due to the typical social convention of the Super Bowl being the “holy grail” for sporting events. With Super Bowl watch parties on countless residence hall floors, in apartments, in houses and in bars, there is so much more to do and so many more people to interact with. Conversations about life, homework and just about anything were being had. Reports were being written, projects were being edited. Netflix was being watched, and disinterest was a tangible object you could reach out and grab. “I mean who doesn’t love seeing four nearly scoreless quarters and then 10 points right at the end?” freshman Ethan Bernstein said sarcastically. So when the Super Bowl isn’t so super, people know there is more to life than just a game on a screen. Fans are hopeful that next year will bring back the excitement of the game.